Kate Middleton’s bouncy yet natural-looking waves… She has one of the most envious heads of hair any woman would die for! 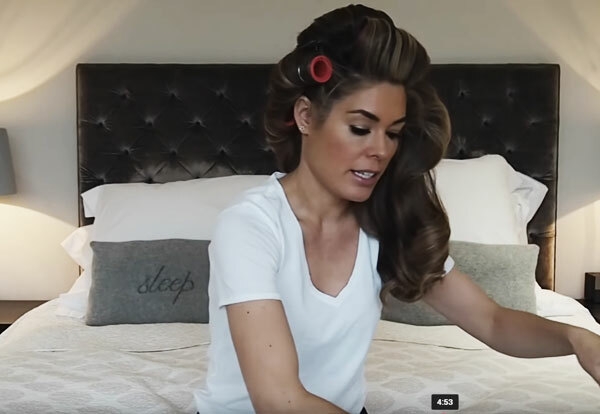 Luckily for us, we recently came across a video tutorial explaining a step-by-step process on how to get curls just like the Duchess of Cambridge. 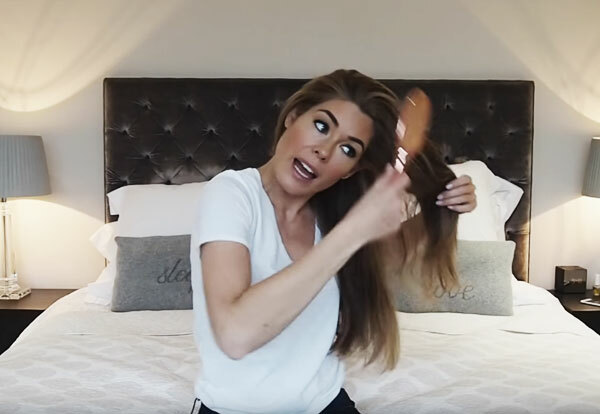 This is a great hair tutorial for anyone who needs quick glam-up tips for a date night or any formal events. 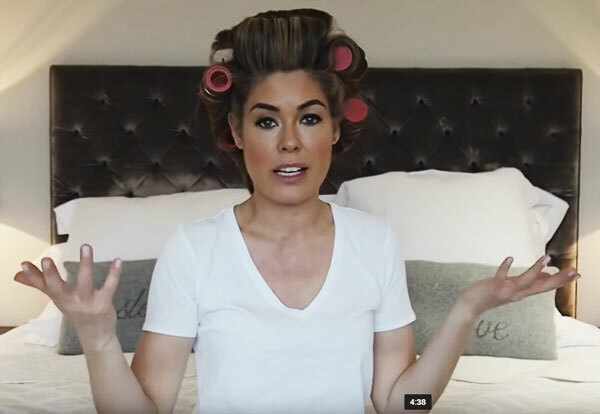 In this video, Sophie Stanbury, a reality star from Ladies of London, shows how she gets salon-finished waves in just 5 minutes. (We originally found this article here and decided to provide a more detailed version to our readers). As you can see, she has the same hair type as Kate Middleton – thick, lustrous, and LOTS of hair. Don’t have hair like her? No worries! 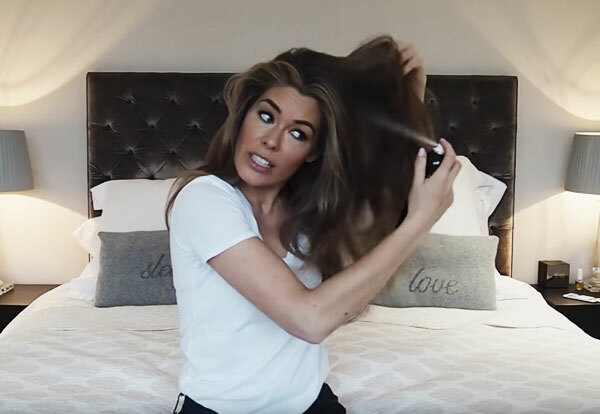 Towards the end of this article, we will also give you some tips and tricks on how you can still get the same bouncy waves if you have a fine and thin hair type. 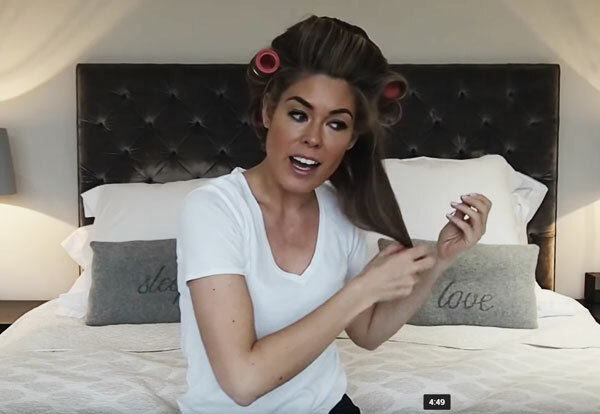 She explains that it only takes 5 minutes using the heated rollers and she leaves them on about 5 to 15 minutes. 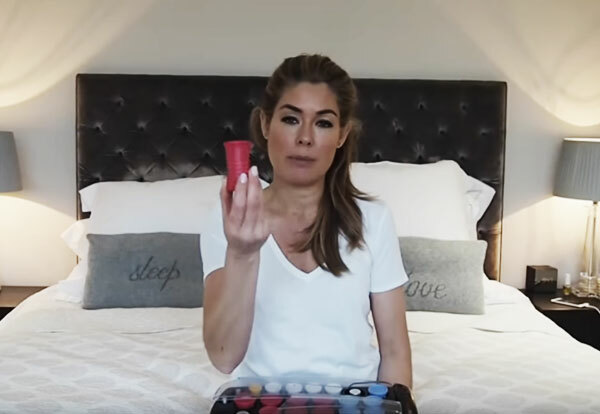 She also points out that you only need to use the biggest rollers from the set to create that voluminous and glamorous wavy hair. She uses BaByliss heated rollers for her hair each time she wants to create lustrous big wavy curls. Step 1: Brush your entire hair thoroughly. Step 2: Spray a dry shampoo on your roots (Optional). Spray at the roots in order to give more body to your hair and hold the overall styling longer. Then, brush your hair, so the dry shampoo is evenly distributed to your hair strands. Note: Using a dry shampoo will give you EXTRA volume at the roots of your hair. 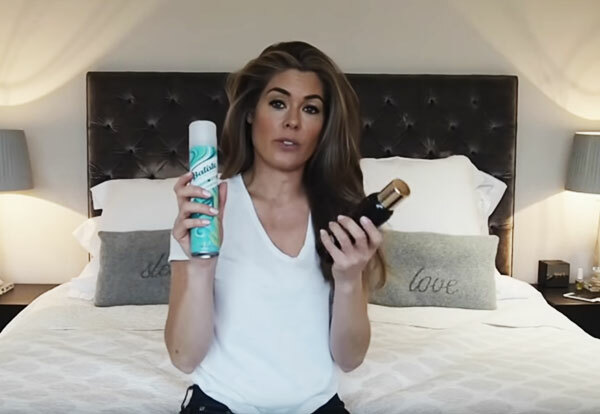 She shows two dry shampoo products she regularly uses (one is on the high-end and the other is a drugstore version). The high-end one is called Bardou dry shampoo which she claims has an amazing scent. 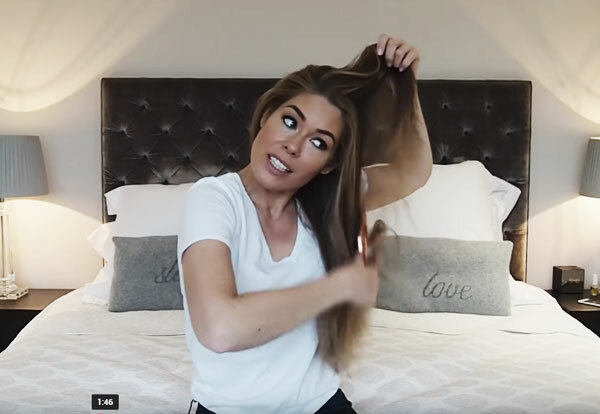 The drugstore version is Batiste dry shampoo (over 4000+ raving reviews), which she also strongly recommends, but with extra brushing. Step 3: Section your hair. Grab a big top section of your hair, swirl it around, and temporarily secure it with a hair claw. Divide the leftover hair on the bottom into two sections (left and right). Grab one of the bottom parts (let’s say the left side) and use the heated roller to start rolling inwards from the bottom. Use the securing clips/pins (that come with the rollers) to hold it in place. Do the same thing for the other bottom part (the right side). Once the bottom parts are done, section off your top hair into 3-4 parts and do the same rolling-inwards process. Step 4: Leave it for 5 to 15 minutes. 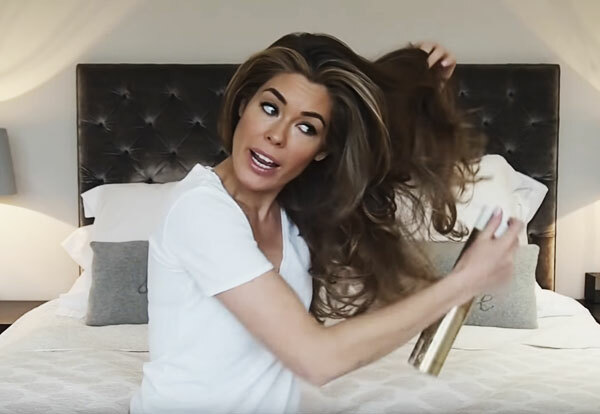 The duration depends on how curly you want your hair to look (she wittingly suggests 5 minutes for a girls’ lunch date and 15 minutes for the dramatic evening entrance look). Step 5: Take the rollers out. Take the rollers out one by one. Once all are removed, shake your hair. Use your fingers to separate the clumps to make it look more natural. Step 6: Secure your hair with hairspray. For a longer lasting look, she uses the hair spray called Loreal Elnett to secure the curls. Generously spray it to your styled hair including underneath. Step 7: You are ready to go! What if I have fine and thin hair? We are completely with you. 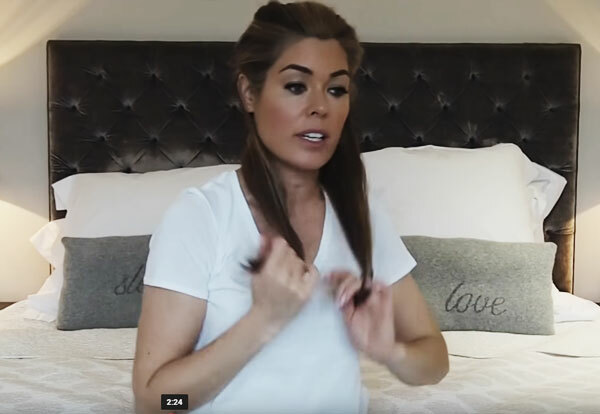 One of the comments we found gives out her tips, which she has been doing daily for over 20 years for her fine hair. The commenter points out the following tips to create luscious curls that look as good as women with lots of hair. 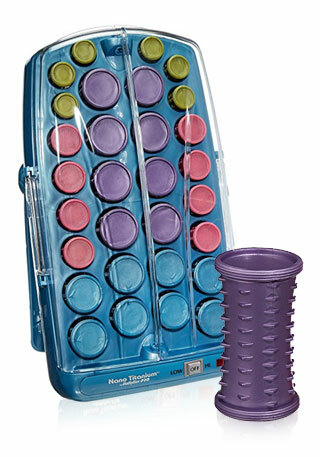 She uses a travel set of 5 rollers since she doesn’t have much hair. 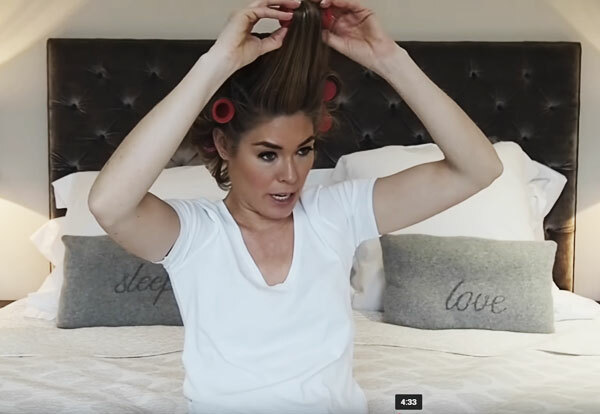 She lightly sprays her hair while the rollers are put on. Once the rollers are removed, she grabs small sections on top to spray the root area. Once her hair is dry from hairspray, she uses a wide-tooth comb to style it. Do you have any good tips for creating big voluminous hair? Please share your tips!